Warding off the Winter chill. With winter solstice a couple of days behind us it’s clear that mid-winter is here for us in the Southern Hemisphere. Fortunately staying warm in winter doesn’t have to be damaging to people or the planet. 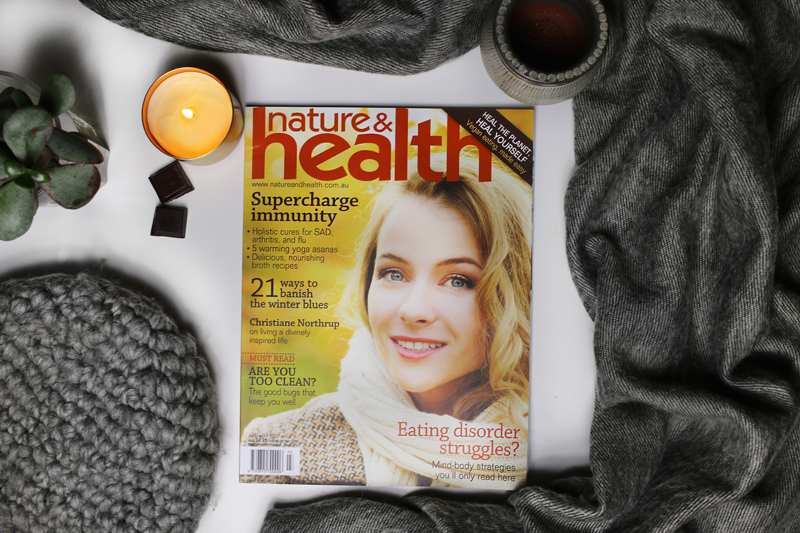 This article is a look at my most recent Eco Style Column for Nature & Health magazine, and some tips on how to ward off the cold in the most sustainable fashion. Here are some super easy ways to warm up on a cool day without having to resort to sitting in front of the heater. Put some socks, gloves and a hat on. Keeping these areas of your body warm keeps your core temperature up (not to mention how cute you can look when you are this well accessorised). Keep a blanket on your couch. Rather than turning the heating up keep a blanket nearby so that you can snuggle up while you read or watch TV. Share your body heat. If you have a good friend, partner, child or BFF (best furry friend) nearby get them to snuggle up close. Shared body warmth is one of the easiest ways to keep warm. Layer up! Having warm layers close to the body can be one of the best ways to trap heat in. Wool is a really great option (for the non-vegans) because it’s naturally thermo-regulating. This means that it keeps your body at a comfortable temperature without making you clammy or hot. If you aren’t keen on animal products synthetic thermals trap heat in (in the same way a plastic bag keeps food warm and moisture in) but should be used with caution because they aren’t biodegradable and tend to hold body odour. These winter warmers are a little more challenging but doesn’t require too much money, time, or effort. Get active. If the option is there for you, why not try to use leg power to get to work. As long as you are rugged up for your appropriate weather and it’s safe to do so, walking or riding is a great way to warm up. Try a group exercise class. Working out in a group pushes you to work harder and working out raises the body temp. As long as you change your clothes and rug up post workout your firing muscles should keep you warm long after the workout ends. Get stuck into some domestic work. Cleaning the house or cooking up a storm will keep you nice and warm. If you can, why not use your off peak hours (especially if you have solar) to cook up some meals for the week or do some baking. This will warm you, your house and mean that you have packaging free ready-made meals on hand for busy days. According to authors of The Environment Equation, suggest that using your microwave instead of your stove can reduce your CO2 by -25kg per year. So cook in bulk on cooler days and reheat later in the week to reduce your eco-impact. These suggestions are a little more complex and do require some preparation and a bit of cash. If you really feel the chill or have large heating bills these might pay off for you in the long run. Invest in insulation! When your house is insulated it stays warmer in winter and cooler in summer. This means savings and a comfortable living space all year round. You can save 910kg of carbon per year by insulating your home! Put a blanket around your hot water heater. Adding insulation to your hot water heater can reduce your carbon footprint by 115kg per year. Invest in solar heating. If you live somewhere with the right aspect and good winter sunlight (like where I live on the Sunshine Coast) solar energy is a great way to heat your home guilt free. You can optimise this by doing your heating through the day and keeping your doors and windows closed for the evening to keep the heat in. 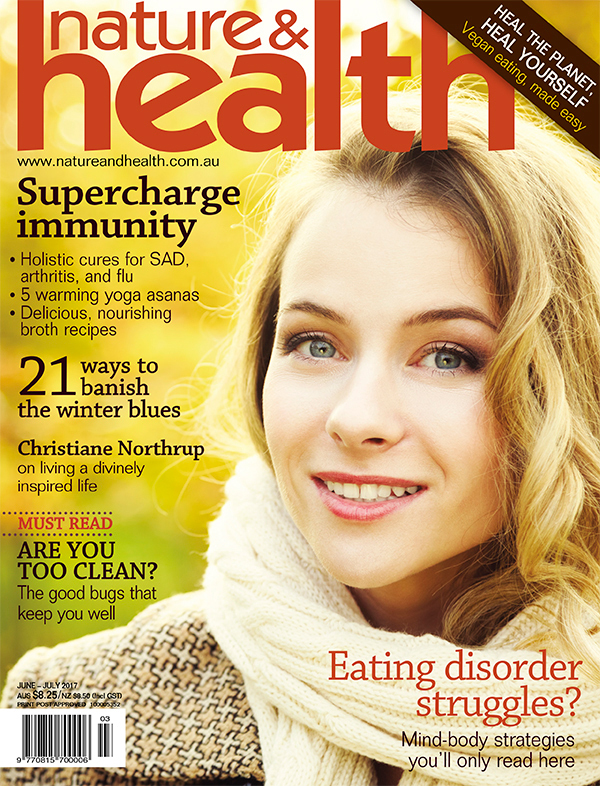 Nature & Health is your faithful guide to living a natural, sustainable and guilt free life, with the latest advice and developments in the spheres of nutrition, fitness, beauty, sexuality, psychology, complimentary therapies, plus much more. The good bugs that keep you well. It’s well worth a look if your sustainability journey is focused on organics, mindful living,and health and well-being.